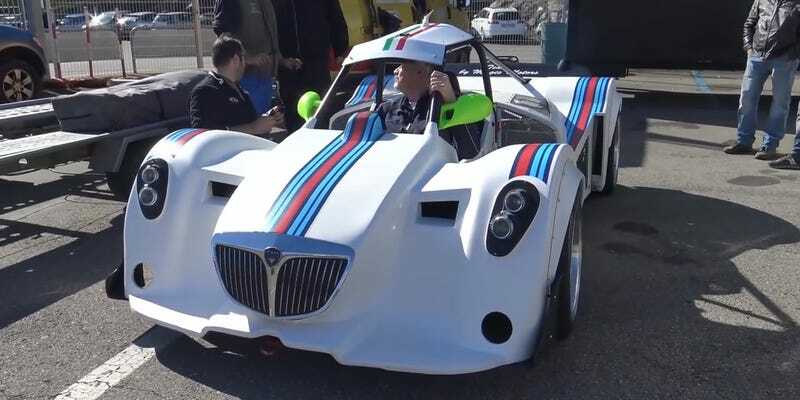 You might look at this car, a custom track special built around the twincharged engine of a Lancia Delta S4 Group B rally car, and see that it has a very small roof. No. Mm-mm. It has a hat. You might see that this car simply has a metal covering over the top of its single-person roll cage. The reason for this may not matter to you. It could be for shading the builder/driver out at the sunny Varano circuit in Parma, Italy. 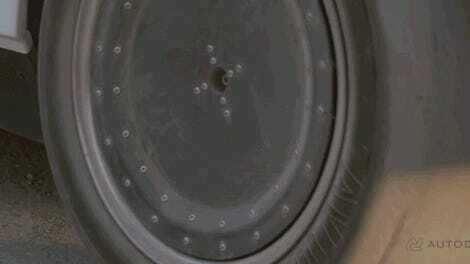 It could be for protecting the driver’s head from maybe gravel in the case of an off-track rollover. It could be for continuing the car’s paint scheme. This is not important to you. What is important to you is that your eyes have lied to you. That is not a roof. This car is not a house. This car is a living animal, and that animal is wearing a hat.